Well, I finally got my homebrew preamp to a point where it's about listenable and hooked it up to my new Flux Magnetics head in my spare RS-1500 headblock. TP-003 (Arnold Overtures) has been on hand for a while, but I didn't want to listen until I had the IEC eq working, and that meant getting the preamp up and running. Wow.... I finally understand what everybody's talking about. Everything about the recording is just so right. There's just this orchestra out there in space, well not exactly in space, it's an orchestra in a complete acoustic environment and after a few moments I found myself listening with this big grin on my face, even giggling at parts of the goofy Christmas Overture. Beautiful, full clearly articulated lows, sweet highs and everything else in between just in the right place. I've never heard anything else like it in my house. To docb, romo and Paul you've hit it out the park! Thanks. Re: TP-003 - Oh my! Oh my! Indeed! I have been comparing the "Arnold Overtures" tape head to head against the LP, played back on my Walker turntable system all weekend, and, as good as the LP is, there is just something more resolving in the tape. The bass drum impact and placement of the instruments on the stage is astounding. Doc, Paul and Romo have hit the ball way out of the park with this release. I just received my copy of the Arnold Overtures, congratualtions to everyone involved! Beautiful presentation, a first rate job in all aspects of the case, liner notes and reels themselves. I can't wait to bring them home and start the fun! Talk about having something to be proud of, you guys have raised the bar for everyone else who offers musical enjoyment for people to have in their homes! Does the tape have all of the music that is on the 2 record LP release? HK Citation 1 Pre-amp, Thorens TD-124, Ortofon 309S arm, SPU cartridges, mono block tube amps, Ars Acoustica LaDiva speakers, and I'm still trying to decide what machine to go with. Oh My indeed! This tape is absolutely incredible. 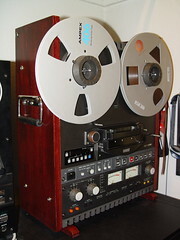 This is what analog tape is all about. Out of the park home run. Goose bump city. Wonderful. Wow! More like this!! I agree. This tape is what it's ALL about. Compared to the redbook all digital version on Reference Recordings cd there is NO contest between this tape and the cd. The tape is so much more open, dynamic and spacious! The ambience of the hall that is captured on the tape is completely "lopped off" on the cd version. The cd just sounds compressed, and there is an odd hardness and glare to the sound that is just not on the tape which is SILKY SMOOTH tonally by comparison. If ever somebody wanted to argue what was better, analog or digital, THIS TAPE would be the 1st thing I would pull out in defense of analog (the cd version was recorded 100% in the digital domain which is what makes this such a reference tool type release!)!! KUDOS and KEEP UP THE GREAT WORK!!!! So far I have got three tapes and none of the music I like ... So much for my taste. None the less this is a impressive tape, while I don't think the music hit 0DB on the meter, you can feel the surround sound of the orchestra pit swell to fill the room. 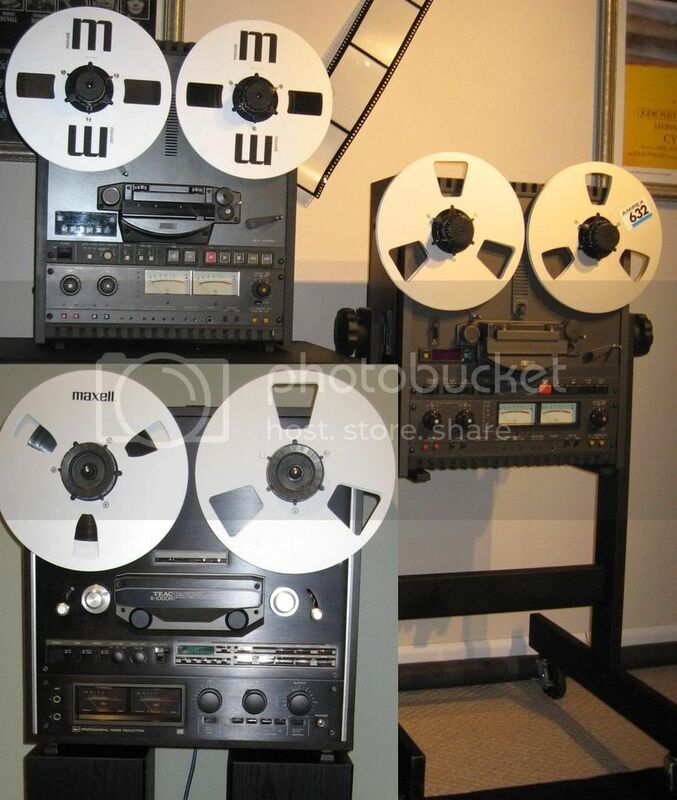 Forget 5.1 sound and Star Wars effects, this is what stereo was meant to be! Long live Prof. Johnson's recordings.